Nuts — Baden Steelbar & Bolt Corp.
We can provide specialty nuts 3/8" to 4-1/2" in diameter in most any thread, material or finish. In metric we can provide M8 through M100. 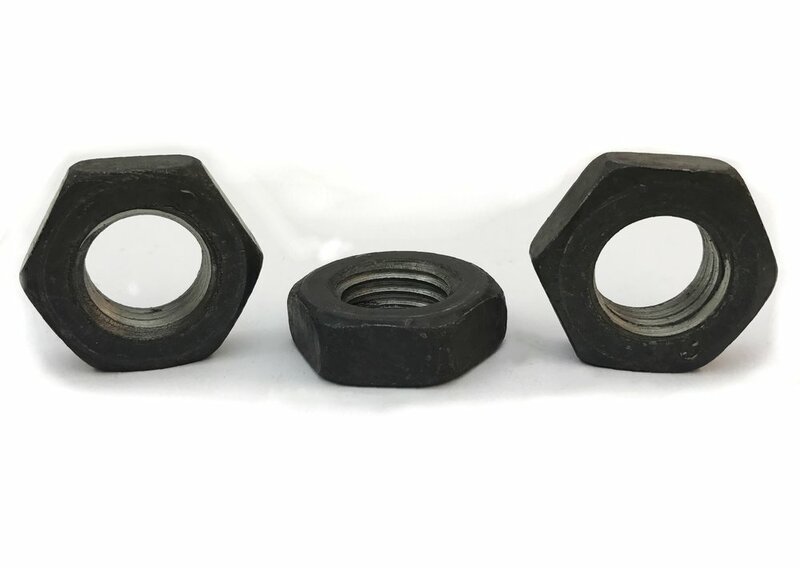 We also stock a range of commonly requested sizes of hex nuts, heavy hex nuts, hex jam nuts, heavy hex jam nuts, lock nuts, hex coupling nuts, and high-temperature heavy hex nuts. We can provide specialty nuts 3/8" to 4-1/2" in diameter in most any thread, material or finish. In metric we can provide M8 through M100. Below are our standard, stocked sizes. Contact our sales team for custom nuts, or less common items such as brass, black oxide, yellow zinc, or silicon bronze. For dimensions of some common types of nuts visit our nut dimensions page. Thread dimensions and oversizing allowances for hot-dipped galvanized nuts are also detailed.